calming environment and the friendly, kind staff. Praxis Dent is a dental clinic with extensive professional experience, with a professional past of more than two decades and several thousands of satisfied patients. 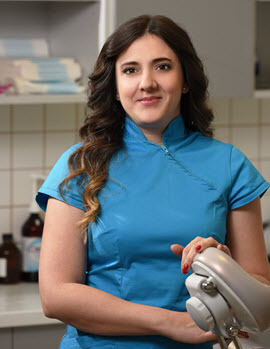 During the treatments we are offering the solution for your problems by using the latest technology and so we are able to give you back your perfect smile. Our services include conserving dentistry , aesthetic dentistry , furthermore the complete field of oral surgery (implants, removal of wisdom teeth) for every age group. 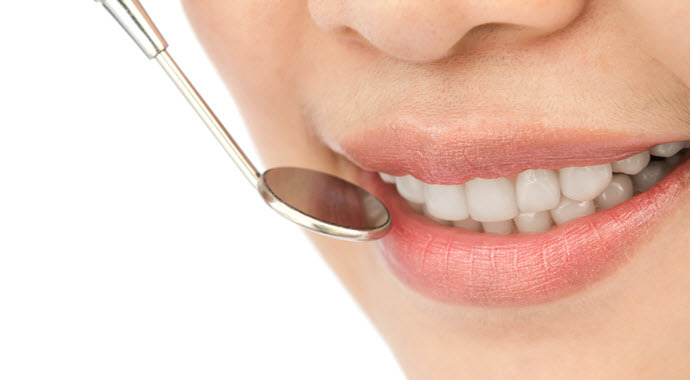 Why you choose Praxisdent dental clinic? We are at the disposal of every age group with comprehensive dental care, in the course of a free assessment of your oral health we give you precise information about the necessary treatments, the procedure and costs. 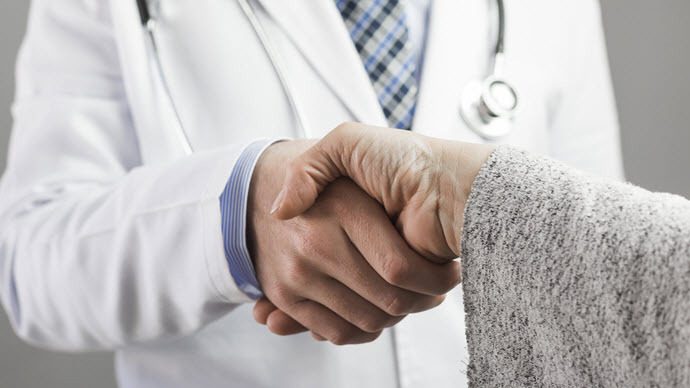 Correct information is very important for us and we will give you enough time to make a decision in connection with your treatment and to get answers to all your questions. Implantation, as intervention	Implantation is an essential part of modern dentistry. It provides the possibility to replace one or more teeth, even in case of complete toothlessness (edentulism) by preparing aesthetic and functional perfect, fixed or removable dentures. 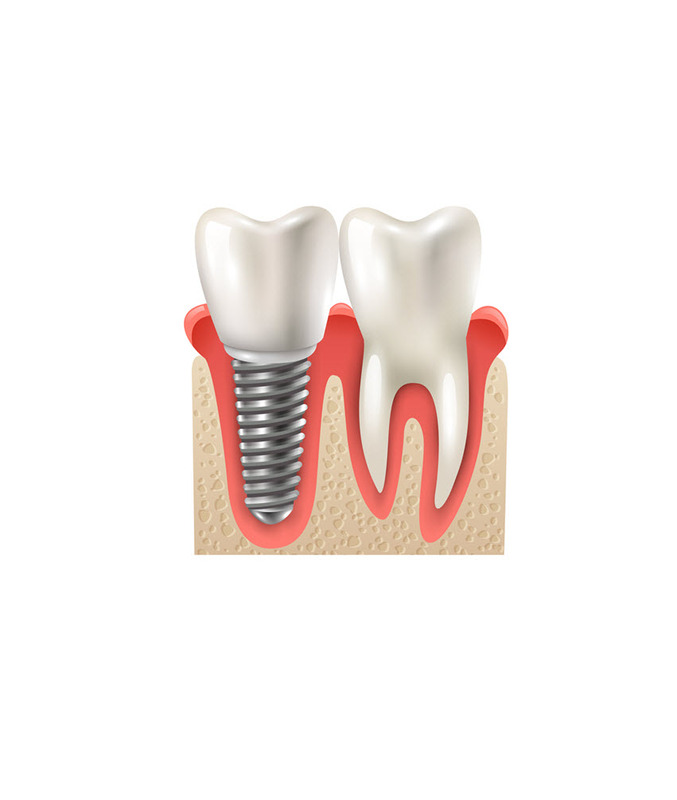 A dental implant is a titanium post (like a tooth root) that is surgically positioned into the jawbone beneath the gum line that allows your dentist to mount replacement teeth or a bridge into that area. Titan doesn’t corrode or irritate the surrounding tissue, it is biocompatible, therefore it inserts perfectly into the bone tissue. In case of the replacement of one tooth a crown can be placed, in case of more teeth inserted dental implants can be function as stable and reliable pillars for dental bridges or even a complete set of teeth / denture. The implant-supported dentures resemble the aesthetic of natural teeth the most, they are able to assume the role of the lost teeth and their capacity is the same. Oral-surgical procedures are such interventions, which are necessary for the dental, orthodontic and surgical solution of oral cavity disease. These include for example complicated tooth extractions, the removal of a broken tooth or tooth root, or of a wisdom tooth. 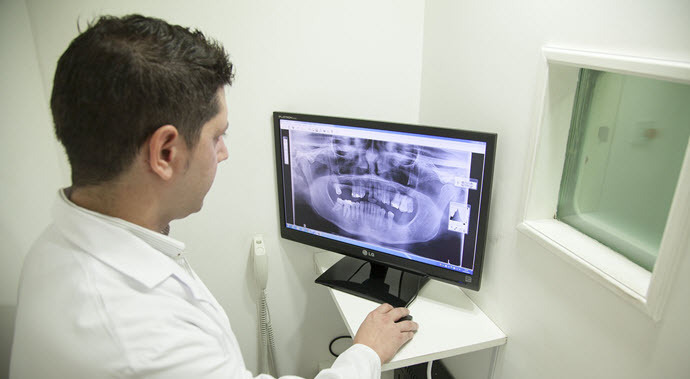 The radisectomy (tooth root resection), carried out in order to save the tooth, the removal of cysts, closure of the maxillary sinus, bone replacement procedures and implantation require oral-surgical interventions, as well. The extraction of a tooth is not always easy to perform. The gum or the bone may cover the tooth to be extracted, but it might also happen that the crown part of the tooth doesn’t exist any more, either because it is broken due to an accident or it became a victim of tooth decay. In both cases the surgical removal of the tooth is necessary. 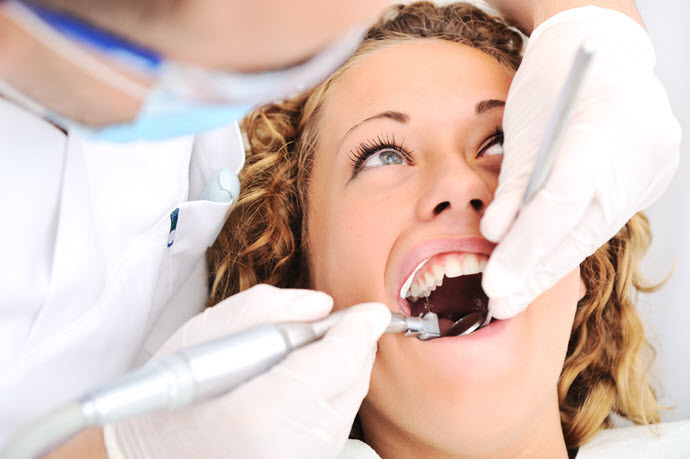 One of the most frequent procedures is the removal of wisdom teeth. There is only enough space in the jaw for wisdom teeth in the ideal case, if so they don’t cause any problems. But often they cause problems while growing or after that. The complicated or limited break through of wisdom teeth especially occurs in the lower jawbone. Wisdom teeth are the last adult teeth to come into the mouth (erupt). If the wisdom tooth is affected in developing, it’s called impacted wisdom teeth. An impacted wisdom tooth may partially emerge so that some of the crown is visible or it may never break through the gums. The tooth may grow at an angle toward the next tooth and put pressure on it. This pressure can also cause problems with crowding of the other teeth, it may form a cyst that can damage the jawbone, teeth and nerves. Even abscess can be formed. The difficulty cleaning impacted wisdom teeth increases the risk of developing painful, inflammatory gum conditions. Missing several teeth can severely influence your daily life. It can affect your general health, your appearance and self-esteem. It can start affecting your appearance, your oral health and even your health in general, so it has many negative affects. Missing teeth disturb the interplay between teeth and bone. Because gum and bone are no longer stimulated well enough due to the missing tooth, the jaw bone starts shrinking and the gum pulls back. This may weaken neighbouring teeth until they collapse. Teeth in the opposite jaw can then start growing into the gap. Even speech disorder may occur. 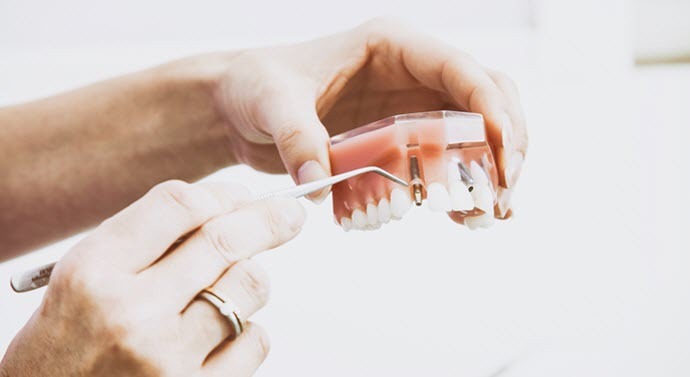 There are several ways in connection with dentures, depending on the type and place of missing tooth. Dental crowns are used if there is no missing tooth yet, but the tooth crown is damaged due to tooth decay, trauma, abrasion or erosion, that the problem can’t be solved by a dental filling. . The basis of this crown is a nickel-free, hypoallergenic metal frame, which is fused by porcelain. 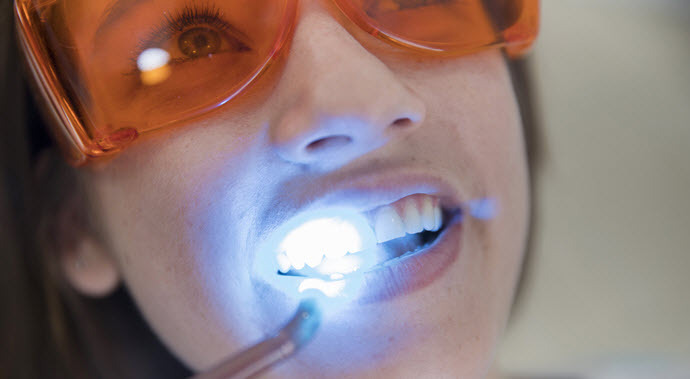 Porcelain-fused-to-metal dental crowns can be colour matched to your adjacent teeth. Next to all-ceramic crowns, porcelain-fused-to-metal crowns look most like normal teeth. Thanks to great high-load bearing these type of crowns are extremely durable, their price is more favourable than in case of zirconium crowns, but they’re less aesthetic: even by choosing the most perfect cover layer, a fully natural replica of natural teeth can’t be achieved. Zirconium bridges similar to zirconium crowns are completely free of metal, therefore they don’t cause any allergic reaction and get along well with your body. 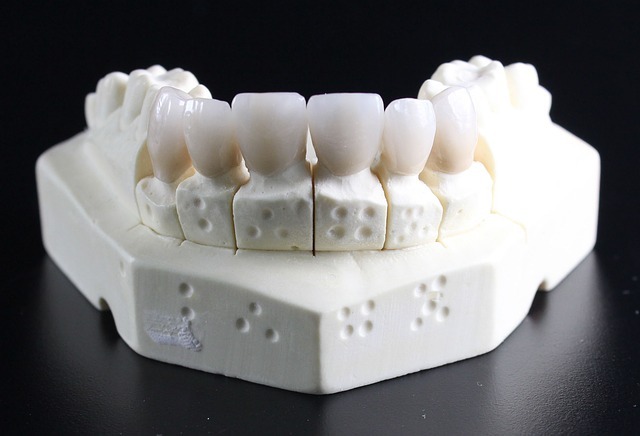 Patients who want aesthetic artificial teeth for themselves prefer choosing zirconium bridges. They blend in with your natural teeth, no one will be able to tell the difference between your replacement teeth, and the ones you already have. The adjacent teeth or implants are both suitable as a support. Filling a tooth is necessary when there is a deficit in its structure. The cavity damages not just the one tooth, but it can spread and damage the neighbouring teeth too. The lack of tooth structure can be a result of physical impact (abrasion, cracking, etc.) or chemical effect (dental decay). The enamel of the teeth becomes vulnerable and permeable which causes the dentin (one of the hard tissues of the tooth) to outcrop to some extent resulting in sensitivity, pain or inflammation. It isn't just the sensitivity that may cause problems, the bacteria that reaches the dentin can also bring on complications, so filling the affected teeth is inevitable. Tooth discoloration can be the result of a great number of things. Dental plaque, coffee, tea, tobacco, or failure to properly brush your teeth can all lead to external discoloration, but in some cases, it can be easily corrected with dental cleaning. Internal discoloration can be caused by certain antibiotics, the abnormity of the enamel and the dentin, root canal treatment, etc. Please fill in the required field (*). Dental implants are artificial tooth roots, made of titanium, which are placed into your jaw bone and act as ‘pillars’. On this root the chosen dentures are placed, whether dental crown, bridges or even complete denture. Good general condition and appropriate bone substance are vital for implantation. Your mouth should be in a healthy condition, with no untreated tooth decay or active periodontal (gum) disease. If these are given there is nothing else standing in the way of implantation. Bone structure can be improved by bone grafts of sinus lift in the upper jaw, both are painless and routine procedures. Is there any pain after dental implantation? During the dental implant procedure, there shouldn’t be pain as you will have been given local anaesthesia. This is not more than an injection in case of an ordinary dental filling. What should I eat after dental implant surgery? What should I expect after the effect of anaesthesia wears off? However, as the numbness wears off, you will most likely start to feel some discomfort. The healing period passes relatively soon and without any problems, because after the implant is inserted, no open wound will remain. Minor inconveniences may occur but these can be eased by anti-inflammatory medication. The duration of the implantation depends on the number and the place of the inserted implants. In simple, uncomplicated cases the procedure takes not more than half an hour. How long does the healing period take after the dental implant insertion? Between dental implantation and the last treatment 2 – 6 months should pass. After insertion the dental implant must osseointegrate with the bone, and the wound should heal, as well. Therefore the duration of the process is very individual. 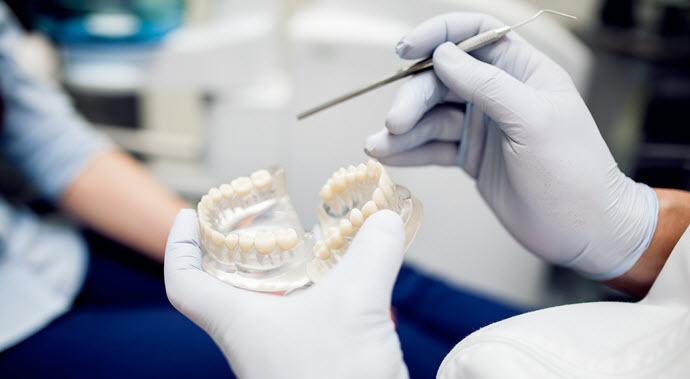 For the duration of the healing period temporary dentures can be placed, of course, so nobody will recognise your missing teeth. .
Can I work immediately after the surgical intervention? Unless otherwise recommended by your dentist, you can work the day after your dental implantation. However, patients who perform intense physical work are advised to take some days off of work. To relief any occasional discomfort or pain your dentist may prescribe painkillers. How to care your dental implants? Care for your dental implants just as well as you would care for your natural teeth. Thorough tooth brushing and oral hygiene is necessary to prevent diseases around the implants. The use of dental floss twice a day is recommended, as well. You can keep your new teeth throughout life with proper home care and regular professional maintenance. How permanent are dental implants? Can a replacement be necessary? When the dental implant is successfully osseointegrated with the bone, it can function without any problems up to 40 years. The better the dental hygiene, care, the lower the necessary of the replacement of the dental implant. So regular oral hygiene and dental check-ups are vital. However, it can occur, that despite of these, periodontal disease spreads to tooth-holding tissue and the implant, as a result of this the artificial root loosens. In this case the dental implant must be removed, unfortunately, though after the appropriate treatment of the problem a new dental implant can be inserted. Can it happen that a dental implant is rejected? The rejection of the dental implant is extremely rare. An allergy to the materials, titanium could be the culprit or the implant can’t osseointegrate with the bone. Or harmful bacteria not being thoroughly excavated from the area, but either way, steps must be taken to correct the problem, the dental implant has to be removed. Dental implants involve higher costs than other tooth replacement solutions, but they are more durable by several orders of magnitude. If you consider this as a long-term investment, this solution appears as the most cost-effective one. What happens if the missing tooth is not replaced? In case of missing teeth, one reason to replace a missing tooth is to prevent bone resorption. The roots of the teeth promote healthy bone development. Bone tissue is maintained by putting stress or load on it; activities such as biting and chewing stimulate the root structure, which in turn stimulates the bone that the root is attached to. When a permanent tooth is removed and not replaced, bone stimulation stops at that particular site, and the bone no longer receives this physical stimulation and starts to resorb. Missing teeth also have a negative effect on the structure of your face: facial features change, you may discover that missing teeth make you look older, and some people think, less attractive. A missing tooth may also reduce your ability to eat certain types of foods. .
Our clinic has its own parking.